Loops surround us in our everyday lives. Rings. Coins. Wheels. Even donuts, a favorite snack of the late producer J Dilla. But loops mean much more than those run-of-the-mill items when looking at J Dilla’s magnum opus: the 31-track journey through life that is Donuts. For those unfamiliar with J Dilla (also known as Jay Dee), he was a music producer and rapper from Detroit, born in 1974. On Donuts, his most acclaimed solo body of work, he proves himself as the master of loops (short, repetitive sample patterns) found at the core of every song. In fact, the album as a whole acts as one never-ending loop, running seamlessly from the first song to the last and then back to the first. Dilla communicates through these loops on this instrumental project, speaking volumes without any vocals from the man himself. Dilla created Donuts entirely on an MPC3000, a device that the Detroit producer knew the ins and outs of more than almost anyone, without any technological help from the machine’s myriad of capabilities. More specifically, Dilla famously made the project without “quantization” — a feature of the MPC that moves certain drum notes in place with a consistent tempo to correct human error when the user is playing slightly off-beat. As a result, many of the loops on the project are zany and off-beat by conventional standards, but this personal touch makes Donuts unique. By offering the purest form of Dilla’s skill, the album was revolutionary to hip-hop upon release, as he “humanized the MPC” in ways never heard before. But beyond its technical legacy, Donuts continues its impact within the context of its creator’s life. Dilla crafted Donuts on his deathbed. He tragically passed away from a rare blood disorder in 2006, three days after his 32nd birthday and the release of the project. Coasting through 31 tracks across 44 minutes, the album reflects Dilla’s realization that he wouldn’t survive, and it illustrates the story of his life and the personal mark that he left on the world. From bouncy songs that make listeners feel the need to jump up and dance, to more soulful and emotional cuts, here are some of the messages Donuts leaves us with. Wake up and work on it. Don’t stop. The journey starts with a ten-second track called “Donuts (Outro)” — a somewhat confusing song title to start with, but nevertheless, a signal at the idea of the album’s start being a product of its end, hence the nature of a repeated loop. From there, a blaring siren kicks off the first song, delivering a wakeup call of sorts and preparing listeners for the adventure they are about to embark on. The three-minute “Workinonit” is the longest single track on the album and is accompanied by a roaring guitar for much of its duration, along with a multitude of different melodic loops and progressions. Most notably, the lead loop is an ear-catching vocal sample that proclaims the title of the song. On this first track, Jay Dee awakens listeners and alerts us from the get-go that we need to put in work if we want to succeed. Regardless of what we’re working on, we need to continue to do something if we want results, and while this may mean falling into repetitive patterns at times, it’s all part of the process. For Dilla, this was music, as he relentlessly worked toward his craft right up until the day he passed. The next track, “Waves,” fully embodies its own narrative, featuring a prominent vocal sample loop that carries the instrumental in waves, fading in and out of earshot. The message here threads the loop created by the previous track, telling listeners that every day, some things will work out and others won’t. This is just part of life, and while it’s easy to get frustrated with the process, it’s important to keep your eye on the prize, even if it means looking for something new to light our fire and keep us engaged, as the following songs, “Light Your Fire” and “The New”, will tell us. No matter what happens, we’ll learn what it is that keeps us going and we’ll grow from our problems. In the first few cuts of Donuts, Dilla calls us to action, just as one might expect from someone facing his death with a sobering look at the remaining days of life, and the result is a declaration that quitting is not an option. Dilla’s relentless work ethic in his final months remind us that tomorrow is never promised, so we must do what we can today. Death is the only thing we can be sure of, and that itself should be enough for us to think about how whatever it is we do will affect our legacy after we’re gone. This bravery in the face of inevitability is a prolific theme throughout the project, communicated early on so as to extend its impact throughout the duration of Donuts. After “The New”, we come to an abrupt “Stop,” which isn’t as much about taking a break from the work we are doing as it is about doing this work with more purpose and awareness. Using a slowed-down Dionne Warwick sample to preach the words, “you better stop, and think about what you’re doing,” Dilla warns us to be aware of our surroundings at all times, while the soulful, spacious instrumentation only adds fuel to this sentiment of self-awareness. 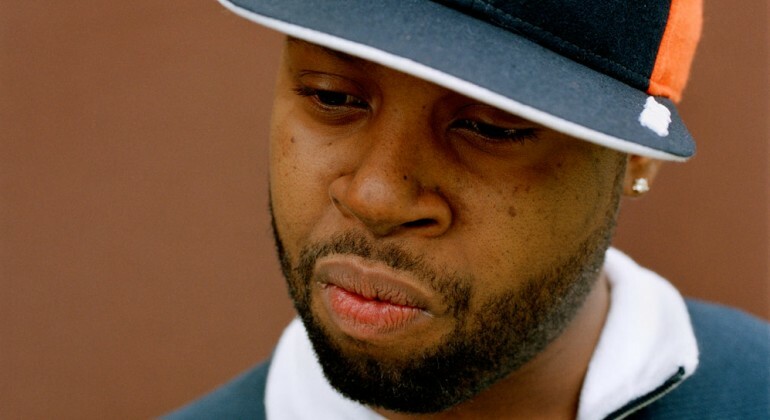 When looking forward to tracks seven and eight, “People” and “The Diff’rence,” Dilla continues on this path, telling listeners that “you will see the difference” between being conscious of the world around us and being trapped in our own world, as this awareness opens up so many paths of life and opportunities. In such a way, these few tracks allow listeners a breath of fresh air. While it’s important to follow a routine and work hard to achieve one’s goals, it’s equally as important to avoid becoming engulfed by one’s work to the point where it affects the ability to enjoy life. Here, Dilla promotes this balance, as his final days bring forth the idea that even while the legendary producer was able to work relentlessly hard and truly build a legacy for himself, he also knew how to live a fulfilling life at the same time, enjoying the world around him in the face of death. Once again, just as we celebrate the idea of beginnings, humans also face the inevitability that every beginning accompanies some sort of end. Rather than sulking on this concept, Dilla uses the end as a call to action for the present, reminding us all that the only way to find fulfillment in light of this end is to enjoy the “now” as much as we can. Finding the aforementioned balance in life can certainly be a daunting process, but the first step of this is assigning value to one’s time. Using this value as a blueprint for the most effective ways in which one can live life, the result is a subsequent sense of awareness — an awareness of life, death, and the idea that we don’t have forever, so let’s make the most of now. “Time: The Donut of the Heart” highlights this theme, providing context to the astounding impact that Dilla was able to make in just 32 years of life, leaving an ever-lasting legacy of culture-shifting art and innovation that embodies timelessness. And if there’s anything we know about Dilla, it’s no coincidence that one of the album’s most important lessons is also housed in one of its catchiest, steadily melodic instrumentals. Dilla didn’t have the time on Earth most people are given, but he worked as hard as he could in pursuit of making timeless music and, in turn, became an essential part of music history. Even on a more surface level, this works, as the track’s title proclaims that time fuels the heart and with time, people find what they love. Dilla loved his donuts, and so, he encourages others to find the “donuts” of their life, just as well. The next song “Glazed” features a prominent trumpet loop, supported by a galvanizing vocal loop that shouts out, “wake up world” and “give me a chance”. While similar to “Time” in its repetitive nature, this moment presents an instrumental filled with horn samples and keyboard melodies, coming off much flashier and in-your-face than the preceding track, like a glazed donut compared to a plain one. In regards to valuing time, this song suggests that taking a more uncomfortable and risky route in life can often pay off. We shouldn’t be so complacent in our ways, because we learn the most about ourselves in uncomfortability. Dilla uses a luxurious sound to illustrate this, as he strays from any taste of dull repetition that can accompany loops if not executed correctly. Unfortunately, we don’t have the ability to foresee the future when making decisions, and this seems to be the theme of another one of the catchiest instrumentals on the record titled “Two Can Win”. Sampling an infectious vocal cut that repeats, “only one can win” and “only one can win your love and you must choose between the two,” this song finds value in the dichotomy of perceived notions surrounding its title and the reality of its narrative. The title of the song — the listener’s first impression before they click play — points to the welcoming notion of two winners, only to be interrupted by the song’s striking realism. With this, Dilla reminds us that the alluring concept of two winners is an ideal one, but it’s important to face the reality of one winner, especially when contextualized with the inevitability of a winner and loser between Dilla and his blood disorder. The contradiction of the title and lyrics suggests that sometimes we need to accept not coming in first place, even if it means paying a price. Whether looked at under the scope of Dilla’s career or in more everyday examples, “only one can win” is applicable both on a trivial scale and in the face of mortality, and for this, it’s a timeless theme, both in song and in life. Next up, Dilla samples The Escorts singing “I can’t stand to see you cry” and accompanies it with some string sections and melodic breakdowns on the beautiful but chilling “Don’t Cry”, track eighteen. Furthering the darker content of the previous song, in the context of Dilla and his death, “Don’t Cry” tells us not to get too down about life as it won’t get us anywhere. It’s difficult not to take this song as a tear-jerker, but Dilla, knowing this would be his last creative effort, doesn’t want us to get hung up on his death. More specifically, it is said that Dilla made this song for his mother, who struggled immensely during her son’s illness. Dilla’s death was upsetting for everybody, but he would rather let the celebration of his music live on rather than sadness caused by his passing. Donuts is an emotional rollercoaster when understanding the life or death reality woven into its message, but this should not overtake the music or overshadow the greatness of this album, regardless of how much we miss Dilla’s physical presence. The album comes to a close with ‘Last Donut of the Night’. Dilla tips his hat to himself on this one with a vocal sample played once in the middle of the track that reads “young man went out and made a name for himself”, which is exactly what Dilla did with his life. He made a name for himself by pioneering his own sound and he won’t be forgotten. Sonically, “Last Donut of the Night” is based around a more traditional hip-hop sound than many other songs from the album, but nevertheless, Dilla’s execution is phenomenal. The beautiful backing vocals are sure to tug at the heartstrings, especially when reminded that this is the “last donut of the night”, the last new piece of music we’ll hear from J Dilla as a solo artist. However, just when we think it’s over and we’ve finally received the final statement from the man himself, the album loops seamlessly from the following track, “Welcome To The Show” back into the first song, “Donuts (Outro)” when listening to the album on repeat. This just further cements the fact that this album and J Dilla’s legacy is something that will continue to spin around and around forever. Dilla covers quite a bit on this record. He doesn’t leave us with any complex lyricism to decipher or any abstract ideas to try and unwind. Instead, he chooses to make his most powerful and timeless album while delivering to us a reflection of his life and ours, concise to an extent of which every moment on this project holds value. With this, Donuts is an extension of James Dewitt Yancey (his given name) the person, even including his humanistic imperfections. For Dilla, the stakes of reality were life and death, and in his final moments, he chose to teach listeners the virtues of life and the right we all have to celebrate, enjoy, and fall in love with this life. If not anything else, the everlasting loop of Donuts is a reminder not to take this life for granted. Rather, Dilla inspires us to embrace the time we have.